Online advertising is back – and bigger than ever. 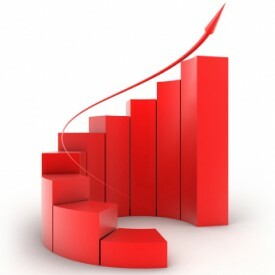 US online ad spending rose by 13.9 percent in 2010, reaching a new record of $25.8 billion after a downslide in 2009. According to digital marketing research firm eMarketer, this figure surpasses that of advertising spending in newspapers (print and online editions), which fell to $25.7 billion in 2010: a decline of 6.6 percent. Among several measured media, only TV generates more advertising dollars than the Internet. Reliability. It may seem counterintuitive, but marketers’ concerns about the ongoing economic turbulence are driving more online ad spending. This trend reflects how most forms of Internet advertising are now seen as more of a “sure thing” than most traditional media. Large brands. Even as many brand marketers increase their web presence, their online ad spending remains small relative to their entire ad budgets. However, the huge growth of digital video ad inventory appeals to large brands, with their reliance on video’s power to get their messages across. Small and midsize businesses (SMBs). New self-service ways to buy display advertising and more reasonable banner pricing are attracting more SMBs. As their customers use traditional local media less, these smaller companies are scrambling for better marketing channels. In an earlier study, mobile advertising spend is estimated to surpass $1 billion in 2011. It already reached $743 million in 2010, a 79 percent increase. This is attributed largely to the growth of the smartphone market and the expansion of mobile ads to various sophisticated formats – including video, display, and search. Currently, however, SMS – or short messaging service – still owns the biggest piece of the pie, with an estimated $327 million spent in 2010 by mobile advertisers on SMS marketing. Apart from online advertising, more dollars are also expected to be spent next year on E-mail marketing and social media. Internet marketing budgets, in general, are set to increase. In a marketing trends survey by StrongMail, an E-mail and social media marketing provider, 65 percent of businesses said that the top area of their 2011 marketing investment will go to E-mail, while 57 percent said that they will be increasing spending on social media marketing. Among social media initiatives, Facebook is the priority of 35 percent of the respondents, while 22 percent are going to focus on viral and referral marketing. Marketing through Twitter and implementing social media management technology tied for third place – both at 21 percent.